Description: NEVER USED DECIDED TO SCOPE IT INSTEAD COST IT ME $ 105 SELL $85 The Emergency Rear Sight (ERS) is a folding, A2-style, dual aperture rear sight that mounts to any flattop AR-15 upper or M1913/Picatinny-style rail. It locks firmly in the up or down position via a detent button, ensuring positive activation. 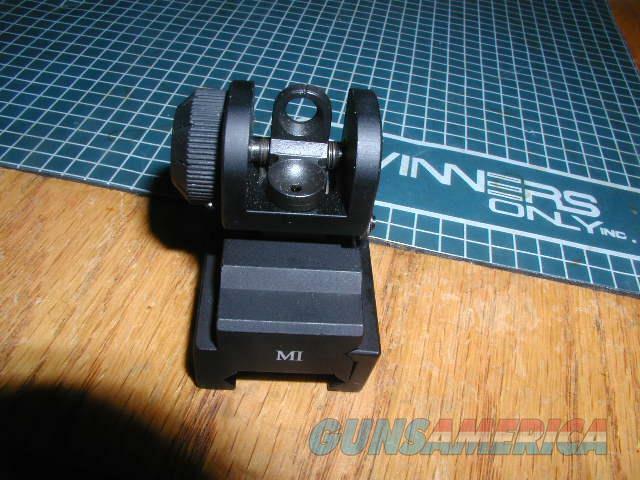 Windage knob is identical to that used on the M16 A2 rear sight. Constructed of hard anodized 6061 aluminum.